A gritty, Don LaFontaine–esque voice boomed over a crowded conference room at Netroots Nation: “No matter where we come from or what our color, most of us work hard for our families. But today, certain politicians and their greedy lobbyists hurt everyone by handing kickbacks to the rich, defunding our schools, and threatening our seniors with cuts to social security. The training session, one of dozens offered here at the three-day annual progressive gathering, where potential Democratic presidential candidates took turns delivering speeches to thousands of organizers and activists, reflected a party that has openly and rapidly embraced the language of the new politics of the left. 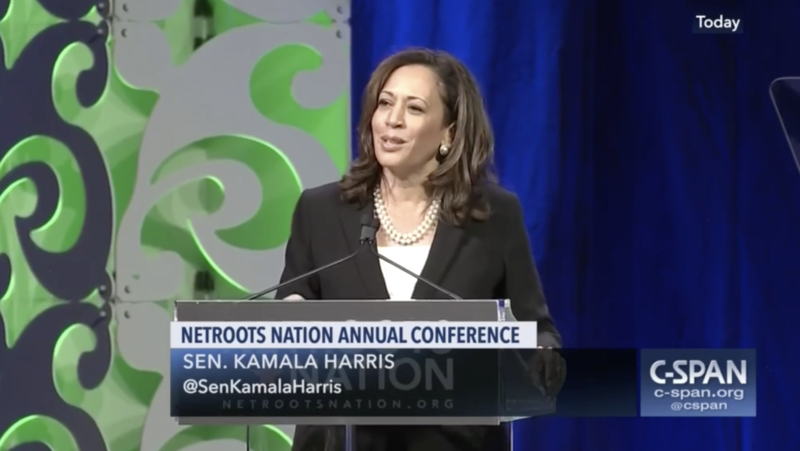 At Netroots, an early showcase for Democrats considering a run for president in 2020, talk here revolved around intersectionality, socialism, and a blending of antiestablishment and anti–Wall Street sentiment with calls for racial and economic justice. Harris's and Warren’s speeches, both direct attempts to knit together questions about race and class, recalled the protests at this same conference in 2015, when a new generation of young, black activists pushed Bernie Sanders, who did not attend this year’s gathering, to incorporate racial justice into his message on income and wealth inequality. “We’re on the cusp of a cultural and political moment. 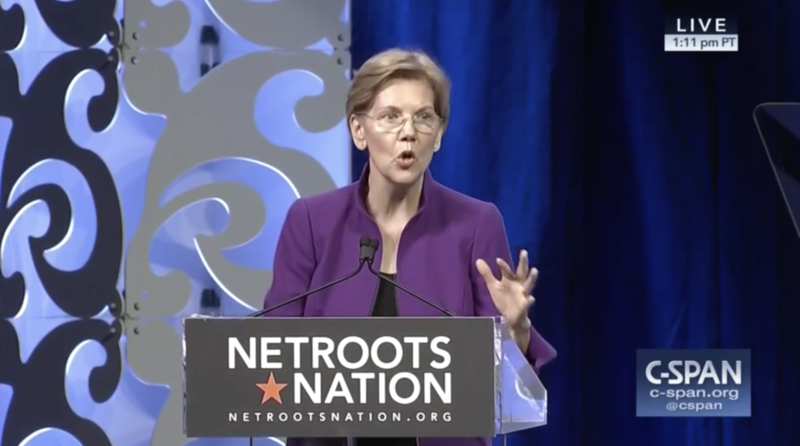 That’s evident now more than ever,” Aimee Allison, the president of Democracy in Color and founder of She the People, told BuzzFeed News after Warren and Harris had spoken to the crowd. “I think that folks like Kamala Harris and Elizabeth Warren are picking [the messaging style] up because they understand that there's potential for this to be a winning narrative,” said Causten Rodriguez-Wollerman, a strategist with Demos, a left-leaning research group that hosted the Netroots training session on intersectionality. It’s something activists here even heard from Democrats they might consider more moderate. Ohio Rep. Tim Ryan, one of the few Democrats to appear last month at a centrist conference hosted by the think tank Third Way, tested his message with progressives here on Saturday to warm reception.